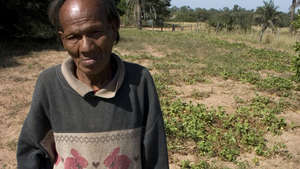 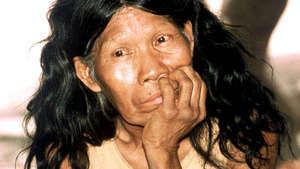 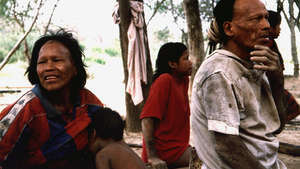 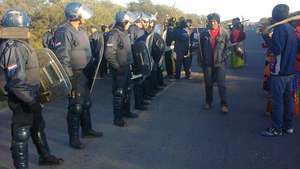 The Paraguayan government has begun negotiations with the Ayoreo Indians over their longstanding land claim. 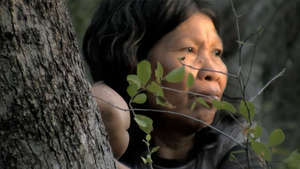 A new report has revealed the devastating deforestation in the Paraguayan Chaco, home to the Ayoreo. 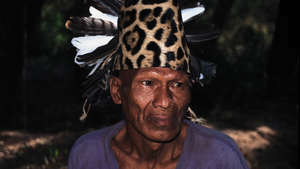 Massive deforestation and government inaction blamed for indigenous crisis that threatens their survival. 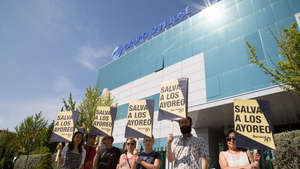 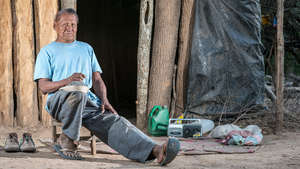 Protestors at Grupo San José's AGM demanded "Save The Ayoreo"
Paraguay's Director for the State Indigenous Affairs Department sold off 25,000 hectares of Ayoreo land.